Impoverished yet grateful for their blessings, the Cratchits offer a clear contrast to Scrooges miserliness. Cratchits Corner displays a three-story building with lots of character, inspired by the Cratchits home in the novel. 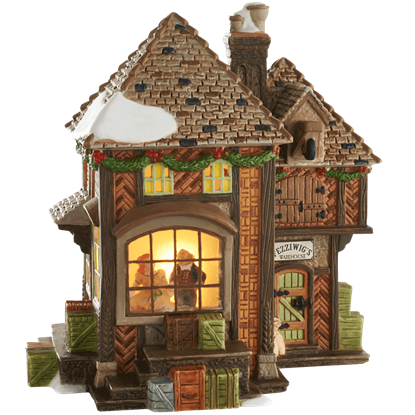 Charles Dickens classic holiday tale comes to new life in the Christmas Carol village series by Department 56. 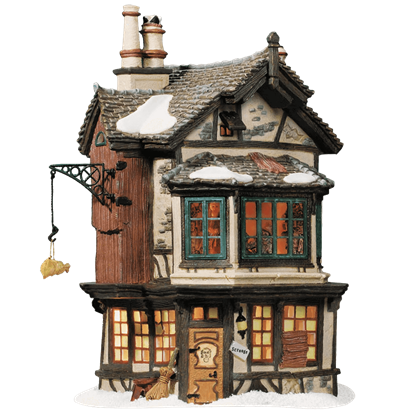 And what would the much beloved story - or the charming miniature town - be without Ebenezer Scrooges House? 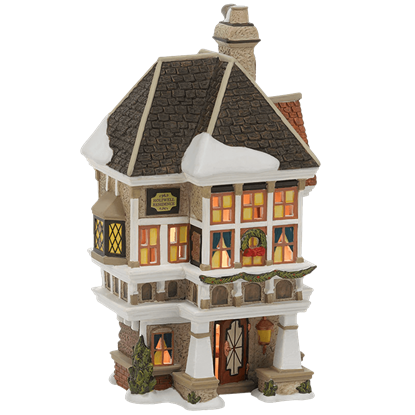 Part of the Dickens A Christmas Carol collection by Department 56, Fezziwigs Holiday Dance is a beautifully detailed statue displaying the warehouse where Ebenezer Scrooge first worked as a young man on the day of its holiday party. 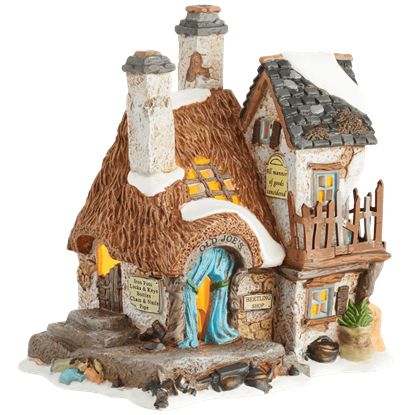 No Christmas village can be complete without fantastic pieces inspired by Charles Dickens classic holiday tale! 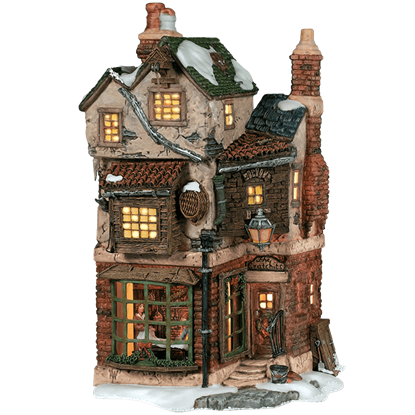 This recreation of Nephew Freds Home makes a charming addition to any Dickens miniature village with its festive air. The classic holiday tale, A Christmas Carol makes an excellent inspiration for your own seasonal display! The Old Joes Beetling Shop recreates a place Scrooge is shown in his vision from the Spirit of Christmas Yet to Come. The classic icon of a miser, Ebenezer Scrooge must learn an important lesson in Dickens A Christmas Carol. 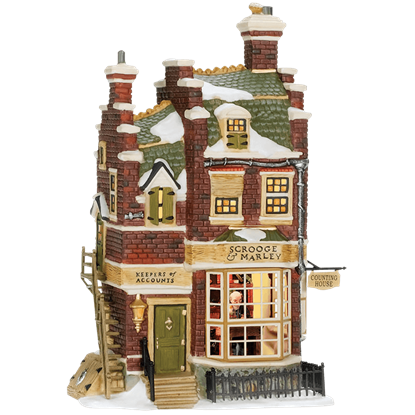 The Scrooge and Marleys Counting House makes a charming addition to your festive recreation of London in the 1800s.